The Suzuki Baleno is built in India & sold in Europe. Sitting above the excellent Swift in the Suzuki range, the Baleno is a car with a super-mini price, £13,999, that offers the space of some C-Sector cars & comes generously equipped with all model’s in the range coming equipped with alloy wheels, DAB radio, Bluetooth, SatNav & tinted rear windows. If you compare it to the most popular super-mini’s sold in the UK, think Ford Fiesta, VW Polo & Vauxhall Corsa, the Baleno offers incredibly good value for money, especially if you pick the model that CCV were testing the 1.0 litre three-cylinder petrol Boosterjet SZ5. 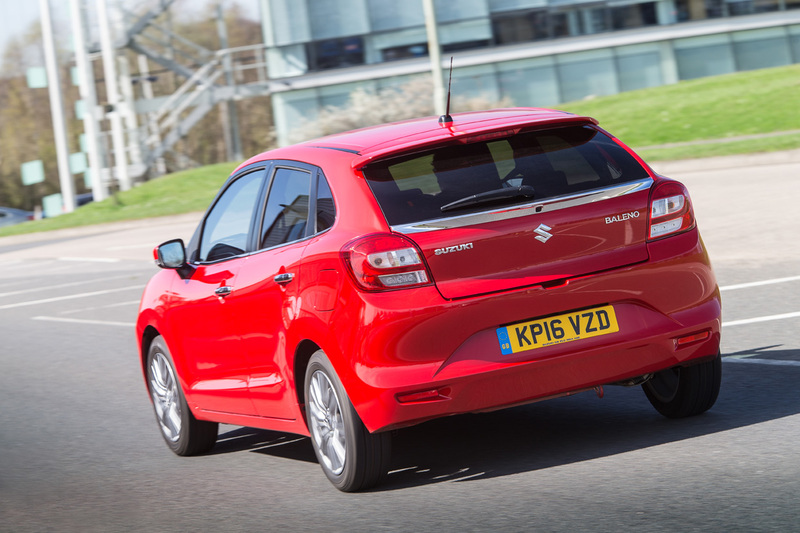 Suzuki have been updating all of their models recently & the latest Baleno is no different coming as it does on a new platform which actually weighs less then 200kg. With the overall weight of the car being just 935kg, the Baleno is fuel efficient, offering an official combined figure of 62.7mpg, nippy, with a 0-62mph time of 11.4 seconds & has a decent top speed of 124mph. Our test model fitted with the 1.0 litre Boosterjet, makes driving the Baleno even with 3 adults on board, highly enjoyable. With 109bhp & 170Nm torque on offer, the Baleno buzzes around like an angry wasp & with it’s light-weight frame, feels an awful lot quicker than it actually is. one is tempted to rev the engine just to hear the buzzy-noise which is really infectious. Climb into the Baleno & go for a spin& one is tempted to rev the engine just to hear the buzzy-noise which really is infectious. The seats are a little hard & with it’s low set-up, you do tend to feel most of the bumps in the road. My family & I did a round trip of 120 miles to Leeds & back, which was all motorway& at motorway speeds, the Baleno is quite noisy & we struggled to hear the music we were playing clearly. Once up to motorway speeds, having set the adaptive cruise control mode, the 1.0 litre engine surprised me by easily keeping up with the fastest moving traffic & that included going up & over the M62 which is hardly flat. A disappointment is that it’s only got 5 forward gears & a sixth gear would both, reduce the engine noise that comes with motorway speeds & would also increase the fuel economy, so something for Suzuki to consider perhaps ? Park the Baleno in a car park & with it’s neutral looks, it’s not the kind of car that stands out in a crowd. That goes for the interior as well, which although as we’ve mentioned, comes very well equipped, the 4.2” colour LCD touchscreen display being the standout, is mostly made up of bland, if hard-wearing, solid-looking plastics. The seats are finished in a grey/black combo as are the doors, roof & carpets, so the cabin is also quite dark inside. The cabin may be dull, but it’s surprisingly spacious, with plenty of room in the front & enough rear legroom for most adults to sit comfortably. Headroom in the rear though is tight for anyone over 5ft10”, as my 6ft tall son found out ! Which leads us onto the boot which offers 320 litres of luggage space, increasing to a very useful 756 litres with the seats folded down. There’s also an under-floor section for extra storage. I drove the Baleno for just over 300 miles in my week testing it & I can honestly say that I really, really enjoyed it. Although I had to add fuel to the car after 275 miles, I did still mange to average just over 48mpg, very impressive for car in this sector. If you’re looking for a value for money small car then the Baleno is well worth a look. It may not be as funky to look at as the latest offerings from Ford & SEAT & it’s interior is not going to entice through the door, the type of customers who buy Apple products. All in all the Baleno was a pleasant surprise. And, at just under £14,000 it’s also great value for money, with the kind of safety equipment, such as adaptive cruise control & radar brake support with brake assist function, normally only found in cars costing in excess of 20k. 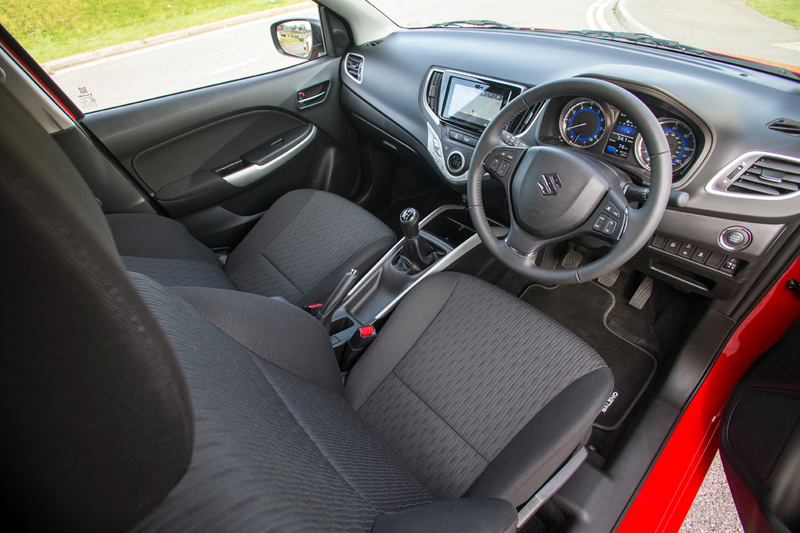 Whilst both the Suzuki Vitara & S-Cross models are right on trend for company car drivers, with sales in the mid-range SUV sector seeing no signs of abating, the Baleno although a ‘super-mini,’ fall’s between two stools. On the one hand it’s size & looks, make it appear bigger than the smaller, cuter Ibiza & Polo, which are designed to attract younger customer’s,. Whilst on the other hand, it’s smaller than many model’s which sit above it, such as the Vauxhall Astra & recently launched Fiat Tipo, which are both larger & similarly equipped. If the Baleno was a football team it would be Burnley. And that’s really not a bad thing. Andrew Walker is a member of the Northern Group of Motoring Writers & has been reviewing cars & vans since 1991. He has supplied stories for Fleet North, MSA Newslink, Health Fleet Management, Local Authority Fleet Manger & various Chamber of Commerce & lifestyle publications. He launched Company Car & Van in April 2010 specifically for SME fleets, who are the backbone of the UK economy. His favourite car of all time is the original Citroen DS & like most motoring writers, he loves to drive a van.